Two forms of anarchism will further imperil the energy crisis – first there’s Eskom’s anarchic pursuit of large power stations like the nuclear plant. Second, there’s the fact that those citizens and corporations who can afford it, are following their own path in response to the financial crisis and mismanagement within Eskom. Neither situation is desirable. However, the need for pragmatic forms of local power supply (localism), both for rich and poor producers as well as owners, is a necessity if Eskom is to save itself and the country and get the economy back on track. 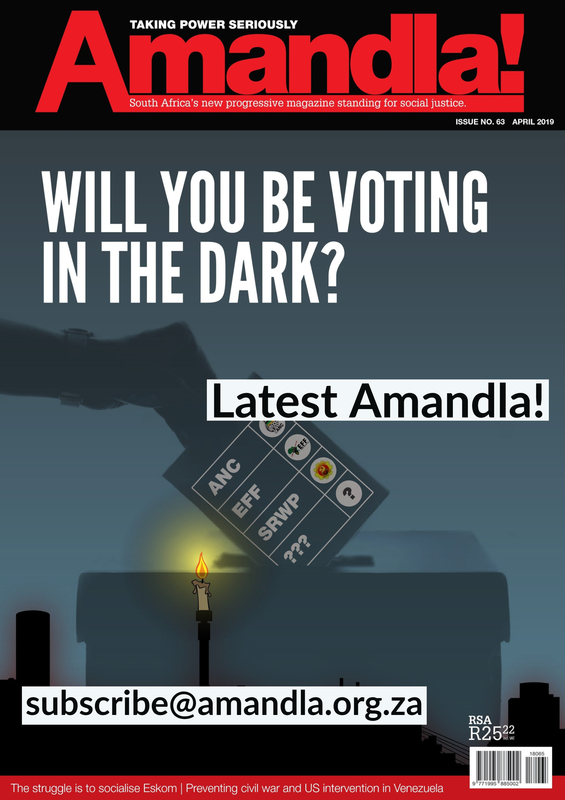 Eskom is beset with a multiplicity of crises and remains a dark hole sucking up more resources rather than dealing effectively with its problems. The Eskom problem is not about coal supply, collapsing silos and maintenance backlogs on power plants, but about something systemic and far more basic: Eskom is a bloated and inefficient state enterprise that needs to reduce its fat, both in terms of staff and unjustifiable salaries and bonuses. As a priority, Eskom should be focusing on dealing with its internal challenges before building more plants. At the same time, the War Room set up by the Presidency is unimaginative in the way that it is dealing with the crisis. It is unwilling to experiment with local solutions. Its proposed five-point plan is entirely tied to fixing Eskom with the utility itself playing the lead role. What the energy crisis needs is diverse levels of operational leadership and solutions. To get the balance right between central supply and more localism, greater citizens’ mobilisation is necessary. Metalworkers’ union NUMSA convened a multi-stakeholder and interest group meeting last week between 2-5 June 2015 in Booysens, Johannesburg to discuss South Africa’s electricity crisis and find solutions to the energy crisis. NUMSA wants to create a unifying platform for different interest groups not only to deal with Eskom, but also to put alternative options on the table. NUMSA’s approach at its conference was unconventional. It opened the door to unions like Solidarity, the Independent Municipal and Allied Trade Union (IMATU) and even business chambers. That broad interest groups willingly participated is testament to the fact that ordinary consumers, both rich and poor, are bearing the brunt of the energy crisis. NUMSA is undertaking what others rarely do. It is forging alliances between different communities and organised formations alongside its powerful worker-base to tackle the energy crisis head on and find alternative solutions. As the conference noted, the energy crisis is multi-pronged and not simply limited to aging machines that have run out of steam – in both the figurative and literal sense. Thus, citizens’ pressure together with organised groups, is not only about forcing more transparency around the reasons surrounding the energy crisis, but also about breaking the energy pathway that Eskom continues to hold the country to. The lifeblood of South Africa’s economy should be affordable electricity from alternative energy sources. A lot depends on the extent to which pressure can be exerted to open the door to localised solutions and how public and private finance can be mobilised to drive these local energy measures, as opposed to throwing more money at large coal and nuclear plants. You can be sure that the current pursuit of above inflation electricity tariffs without any change to the existing status quo simply serves to put us on an unsustainable price path. Higher tariffs basically lead to consumers underwriting non-performance. They also preserve our dependence on the existing model of power supply. Not only will this irreparably damage manufacturing, it could also dissuade new investment. New research also finds that higher electricity tariffs are destroying jobs and household incomes. The recent findings of the South African Labour Research Institute in its survey of 112 companies in the clothing, textile, footwear and leather manufacturing sectors, shows that one in six workers has been put on short-time with no pay due to load-shedding. The study points out that as load shedding continues, short-time schedules will expand as businesses try to cope with the loss of production. Further income erosion will result on an annual basis from Eskom’s request for above inflation tariff hikes with the possibility of claw-backs through the Regulatory Clearing Account (RCA). This simply increases the tax burden on citizens. When the crisis hit in 2007, it was a case of demand exceeding supply – meaning we had enough power generating capacity to produce the maximum rated level of power. But the growth of the economy exceeded Eskom’s ability to supply the necessary power at the time. Today the problem is different, as we have less demand on top of coal plants not being able to generate at full capacity. This is due to the fact that coal plants should have 90% generation availability in a year, but are operating at 70-75% availability today. In other words, the same number of power plants are generating less than they did before. At the same time, the costs of the new power plants are working out far higher than predicted. This crisis demands creative solutions that will fundamentally shift the very structure and nature of how things are done. These ideas vary from community-level load curtailment programmes, as is being tested in Pietermaritzburg, to household self-supply (mostly through solar), which is currently mainly being opted for by rich households and businesses. The threat of local power initiatives is not so much that they can be done and are needed, but that they have the potential to alter the very pathway of future energy supply. This is perhaps what the national energy regulator and Eskom both fear most. Certainly in the next five years, decentralised power does have the potential to disrupt Eskom’s business model, which is reliant on customers who pay to remain on the grid. But if they defect, Eskom’s finances will be in ruin. Payment defections due to boycotts, disputes and electricity ‘theft’, already show the damage that can be done to Eskom’s balance sheets and its ability to borrow. 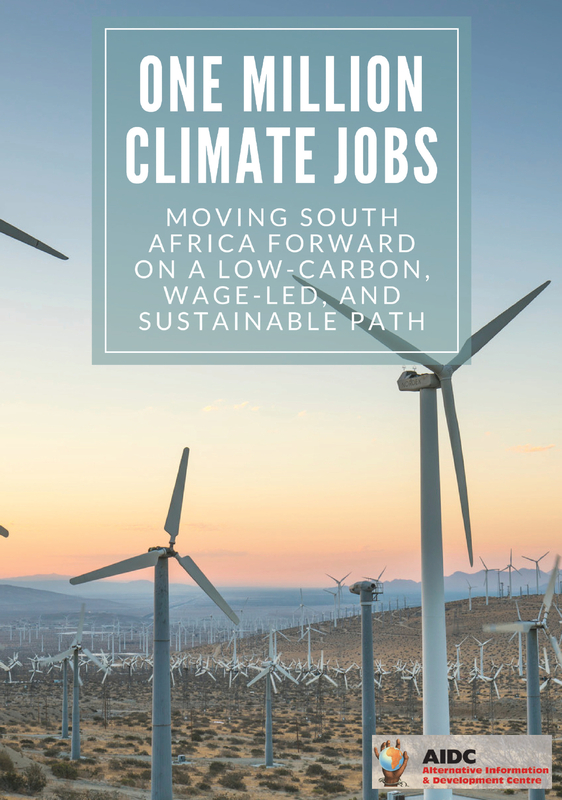 Thus, increasing defections and self-generating power from communities, cooperatives, businesses and municipalities should rather be seen as a managed and planned diversification strategy that reduces Eskom’s need to build more coal and nuclear plants. Unplanned localism in power generation running parallel to Eskom’s pursuit of centralised generation capacity will only lead to a small victory for localism and self-power. This will be at the expense of losing the battle to slow down Eskom’s commitment to building new bulk power plants. The result will be oversupply due to uncoordinated central and local sources of supply with a smaller customer base for Eskom. Eskom’s electricity costs will only go up and where it cannot achieve full cost recovery, it will burden the fiscus (and taxpayers indirectly) through recurrent bailouts and claw back mechanisms like the RCA. Unguided and unbalanced devolution to localism should be avoided. It is harmful to the most vulnerable in our population – those who cannot opt out of a dysfunctional system and those whose incomes are already meagre. It is the poor who will get stuck with an all-consuming malfunctioning power utility behemoth if localised models are not introduced in a planned and inclusive manner. Managed localism is needed – not only to save Eskom but also to allow diversification of generation with varied ownership models. This will ensure that a more resilient energy system is created over time.